U2 and Paul McCartney will perform the Beatles song “Sgt. Pepper’s Lonely Hearts Club Band” in Hyde Park on Saturday (07.02.2005) to open the live8 concert in London. They will wear the Sgt. Pepper costumes. More in www.therockradio.com , zm.nu . 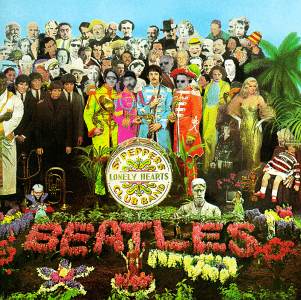 Do you have a definitive list of the people included in the video montage behind the performers during the rendition of “Sergeant Pepper’s Lonely Hearts Club Band”? The idea was of course a nod to the Beatles’ album, but whose idea was the “Live 8” montage and who had a say in which people were included? Thanks for any answers.